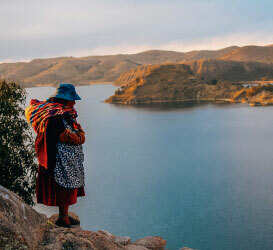 The iconic Lake Titicaca, nestled high in the Andes mountains at a height of nearly 4,000 meters above sea level, is the highest commercially navigable lake on Earth and holds an important place in local culture and myth. 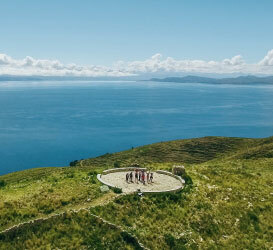 Important places at Lake Titicaca include the cities of Puno in Peru and Copacabana in Bolivia, as well as the Uros floating islands, the islands of Amantani and Taquile, and the legendary Isla del Sol. 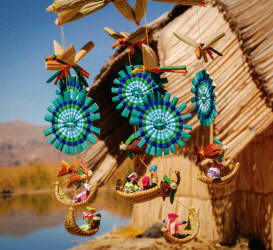 Straddling the borders of Peru and Bolivia, the incomparable Lake Titicaca is the highest navigable lake on Earth. 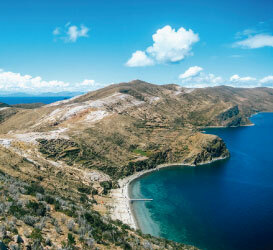 Bus, plane, train: What is your best option to arrive at Lake Titicaca? While public buses are the most common way for locals to get around, safety and comfort can be an issue with some companies. Trains can offer the amenities of a five-star hotel while you travel, but it's not the most affordable option for everyone. Planes are convenient but don't give sufficient time for altitude acclimatization. Hop on hop off bus options like Peru Hop and its sister company Bolivia Hop can offer a good compromise, with affordable, high-quality service at your own pace. Transportation options to Lake Titicaca cover a wide range of price, quality and relative convenience. Keep reading to find out more about each option. Everything you need to know about hostels, hotels and homestays at Lake Titicaca. With both international and regional options, you’re sure to find something you love. 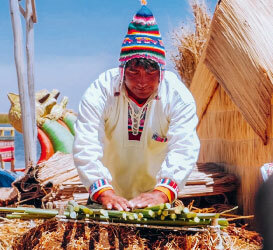 With its diverse mix of cultures and its tropical tundra climate, the region surrounding Lake Titicaca has some of the most interesting and unique cuisine on the South American continent. Local specialties like chuño (freeze-dried potatoes) and lake trout are sure to delight the curious foodie. 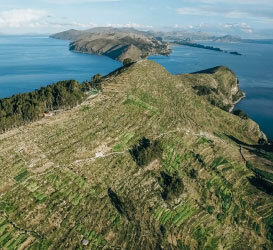 As an important destination for tourism, Lake Titicaca also offers some excellent international cuisine, including French, Italian, American and Chinese, among others. There are even some vegan and vegetarian options available, a rarity in South America. I stopped at Puno and Lake Titicaca while on a longer trip through Peru. I thought it was just going to be a quick stop on my way to Cusco and Machu Picchu, but I loved it so much that I ended up staying two weeks. The culture, the food, the people--I totally fell in love with the place! I was traveling with Peru Hop, and their hop on hop off style of travel made it super easy to flexibly rearrange my plans and stay a little longer. I visited Copacabana while on a short holiday in Bolivia and I was quite charmed by the laid-back atmosphere and beautiful scenery. It was a lot of fun meeting people from all over the world who were passing through the town. I used the Bolivia Hop bus service to get there from La Paz and it could not have been easier to use. I'm super glad I got the chance to see Lake Titicaca and experience a different side of Bolivia. The highlight of my time in South America was undoubtedly my trip to the Uros Floating Islands on Lake Titicaca. I used findlocaltrips.com to find a unique and extraordinary two-day homestay tour. This tour gave me the opportunity to immerse myself into the local community by staying overnight with an incredibly friendly local family. It is a once-in-a-lifetime experience that you simply cannot miss out on!